Palm City, October 11, 2018 – STS Component Solutions (STSCS) is proud to announce the newest addition to the organization’s OEM Distribution Product Line portfolio. Curtiss Wright Corporation provides innovative products applicable to the commercial aerospace, general aviation, rotary, defense, power generation and industrial markets. 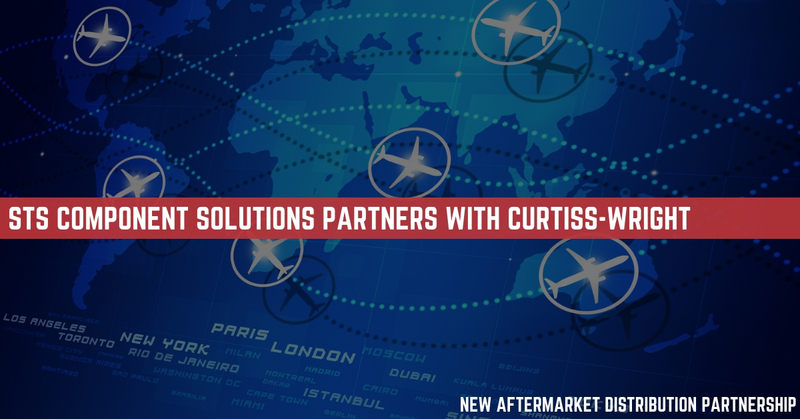 STS Component Solutions has been appointed the sole aftermarket distributor for Curtiss Wright across four business units and 11 cage codes. The products manufactured by Curtiss-Wright include position sensors, rotary and linear actuators, solenoids and valves. For any inquiries, please contact the sales team at 1-888-777-2960 or sales@sts-cs.com. We are available 24/7/365 to assist with all of your OEM Distribution product line needs. To learn more about STS Component Solutions or STS Aviation Group, please visit www.stsaviationgroup.com. STS Aviation Group is a diversified company that specializes in support services for the aerospace industry through its nine divisions, STS Technical Services, STS Engineering Solutions, STS Line Maintenance, STS Component Solutions, STS Air-Pro, STS UJet, STS Mod Center, STS AeroMod, STS GSE Services. From staffing your team so it can get the project done right and at an affordable price, to providing certified aircraft and engine components so you can get off the ground and back in the sky, STS continues to be a one-stop servicing center for all of your company’s staffing, aircraft engineering, line maintenance, ground service equipment, component sale / distribution, hose manufacturing, aircraft interiors, and modification requirements. To learn more about what makes STS the company with “Solutions to Keep You Flying,” please visit www.stsaviationgroup.com. You may also call 1-800-800-2400 or 1-888-777-2960.